Up On Tippy Toes: TAGS!!! Just popping in to share a couple of t"tag" projects I recently made. This firston is a submission I did for KaDoodle Bugs "Tag" Challenge. 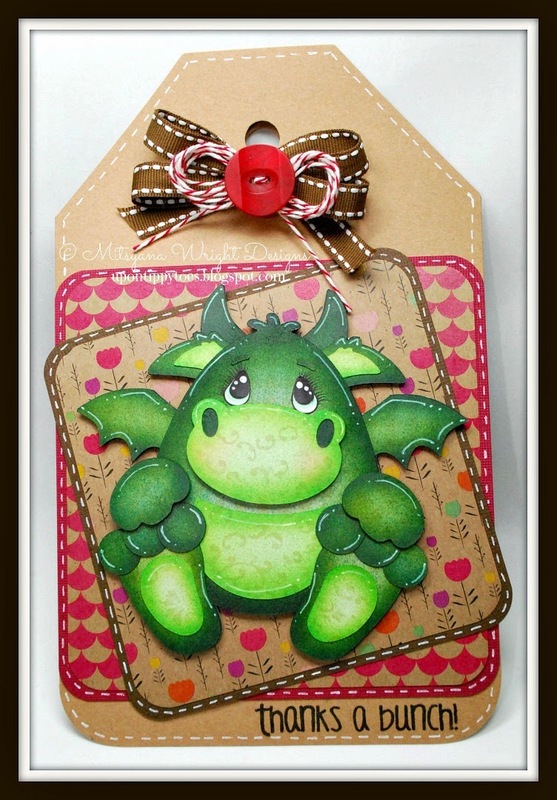 For this my tag/ card hybrid I used KBD's new Eggie Buddies Dragon!! Isn't he adorable?!! You can find this as well as all the other Eggie Buddies here. 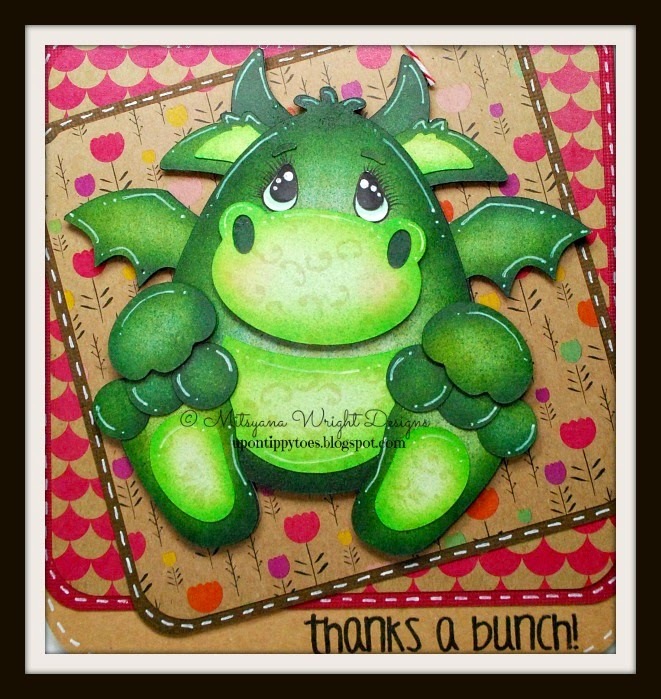 I also used Virginia Turtle's "Does This Taste Funny" stamp set for the "thanks a bunch" sentiment. And, of course I just had to shade my paper piecing with my ebrush!! That was a no brainer!! Here is another Tag I made... not as huge as the other one but very pretty! And it gives you a sneak peek at one of the new stamp set that will be coming to Pink and Main this month!! 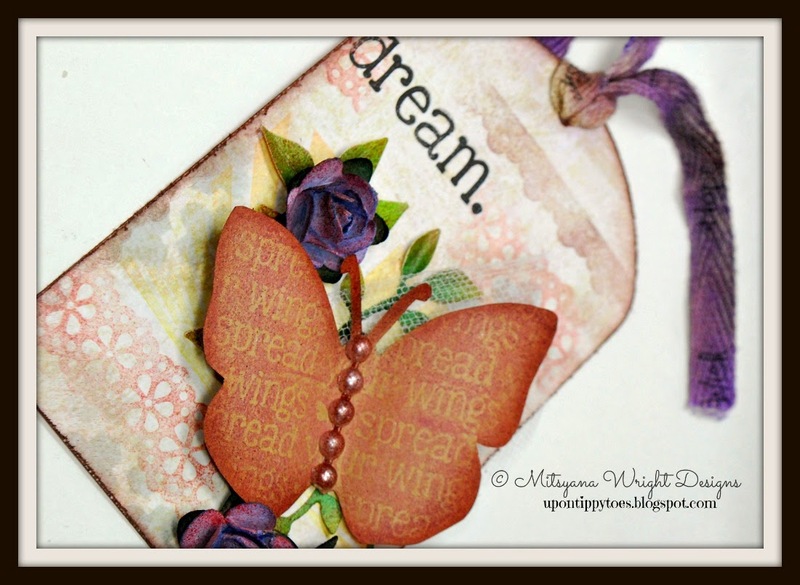 This butterfly and "dream" are both from P & M's new "Inspire" set! I love this set!! It is filled with different types of butterflies and inspiring words to match like "create", "dream", and "inspire"! 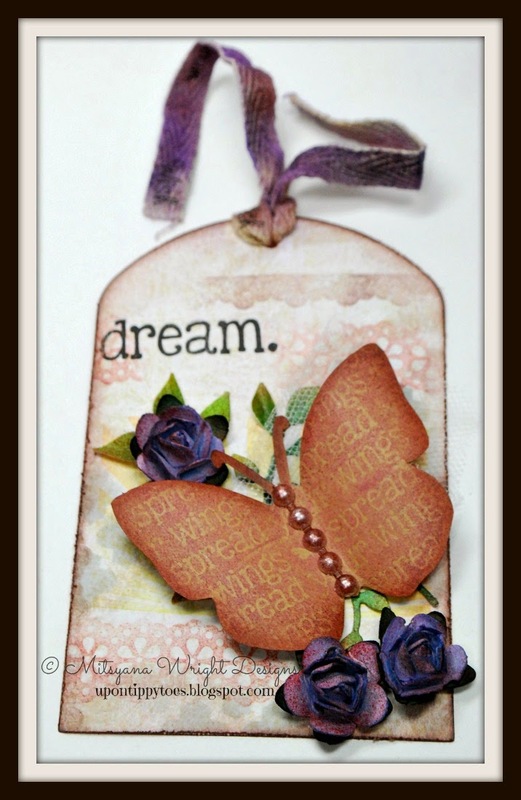 I stamped my butterfly image and hand cut it and added adhesive pearls for the body. I ebrushed the edges and pearls with a brown sharpie to add a little more dimension. I also used a couple of borders from Pink and Main's "Bubbly Borders" set to accent my tag and distressed around the edges to give it a more worn look. I love making tags!! They're great on gifts or as cards or make great labels for treats and favors! I see more and more tag making in my near future!! Hope you all enjoyed these tag projects and are inspired to make some tags of your own! !